Donald Trump hopes to bring his signature brand of glitz to the nation's capital with a new luxury hotel in the city's third-tallest building. 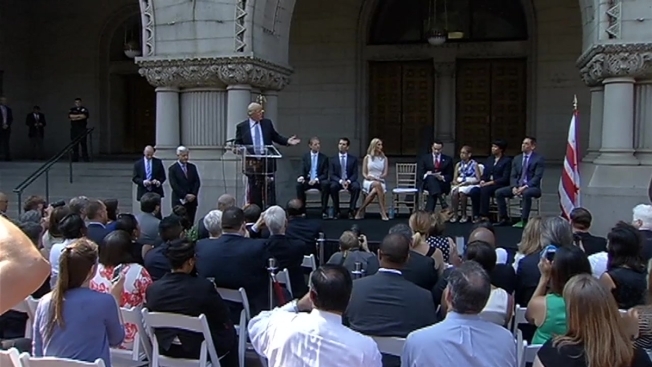 During a Wednesday morning ceremony, Trump broke ground on a $200 million hotel that will transform the Old Post Office Building on Pennsylvania Avenue between the White House and the Capitol. "We will produce one of the great hotels anywhere in the world," Trump said in his opening comments about the project. His daughter Ivanka, and sons Donald Jr. and Eric joined him for the groundbreaking. 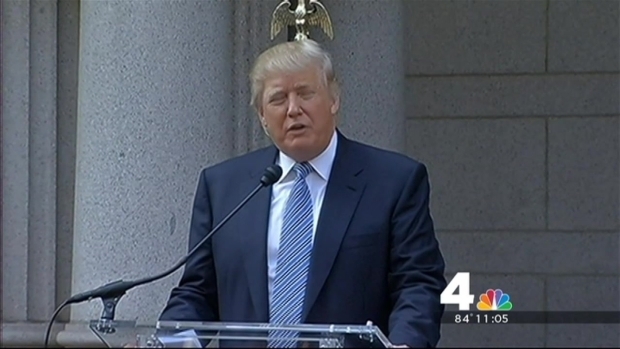 The new Trump International Hotel is expected to open in 2016. It will feature 270 guest rooms and two presidential suites of more than 3,000 square feet. At Wednesday's groundbreaking, Mayor Vincent Gray and D.C. Del. Eleanor Holmes Norton both called the project the most significant change on Pennsylvania Avenue in the last thirty or forty years. "Look at what the Old Post Office had been reduced to -- something of an ugly duckling," said Norton. "But I think we're about to see the grand old lady back in her iconic glory with a brand new identity complete will all the historic trimming." The 115-year-old building was under-utilized in recent years, housing small vendors that catered mostly to tourists. It includes a 315-foot observation tower that offers panoramic views of downtown Washington, which Trump says will remain intact in the future. Gray touted the projected economic benefits of the hotel, saying that in 10 years it will generate $100 million in tax revenue. It will also create 700 construction jobs and 500 permanent jobs once it opens it doors, he said. New4's Tom Sherwood spoke with Eric Trump, who said they'll start moving construction teams to D.C. very soon. "We're really starting to ramp up; you're going to start seeing a lot of progress," he said.